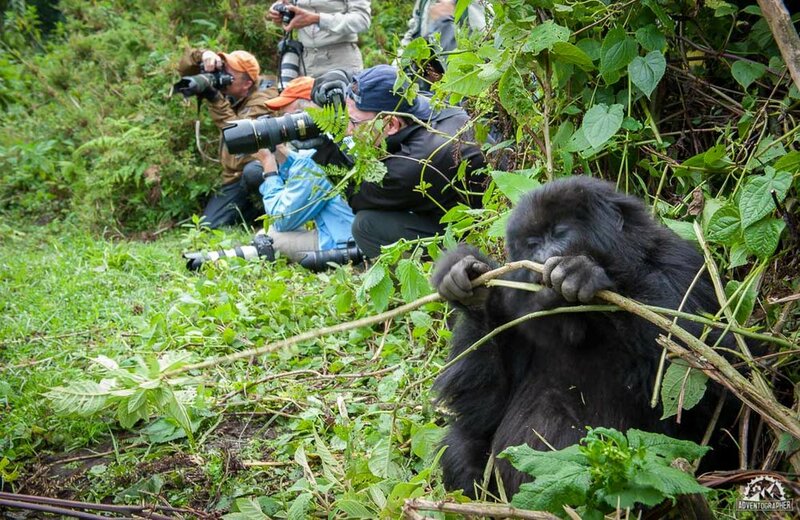 A gorilla trekking safari in Uganda is a truly rewarding wildlife adventure. It is an opportunity to come into close contact with the largest of all primates and scarcest subspecies of the gorilla – the mountain gorilla. 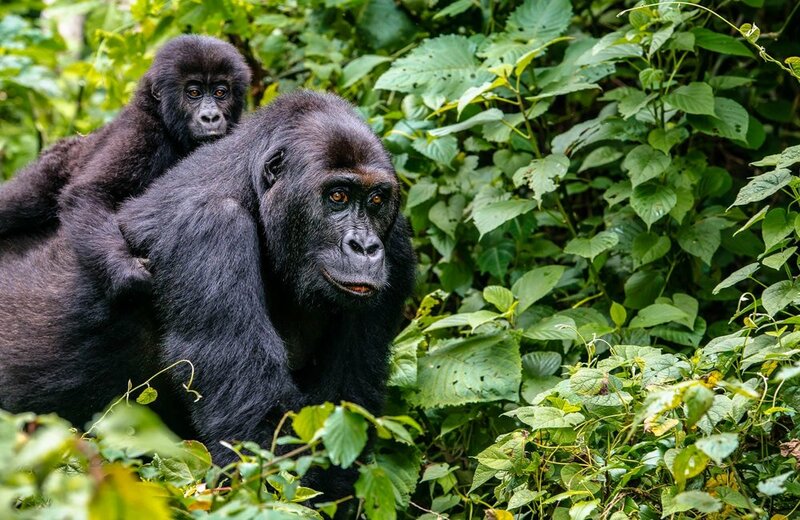 Travelers embarking on a gorilla trek can expect to trip through mud, jungles and bamboo forests in search of the incredible mountain gorilla families. Spending time with these critically scarce beings is one of the world’s most thrilling activities. The scarcity of the gorillas along with the effort required to get to them makes Uganda gorilla safari an unforgettable experience. 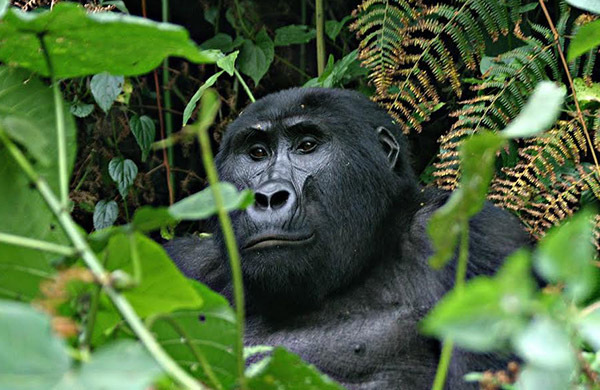 This safari will take you for gorilla trekking in Bwindi Impenetrable Forest, west across the Albertine Rift Valley. And you to meet humans’ closest relative, the gorillas. The Democratic Republic of Congo is another home to Mountain Gorillas in Africa. The country has both Lowland and Mountain Gorillas. 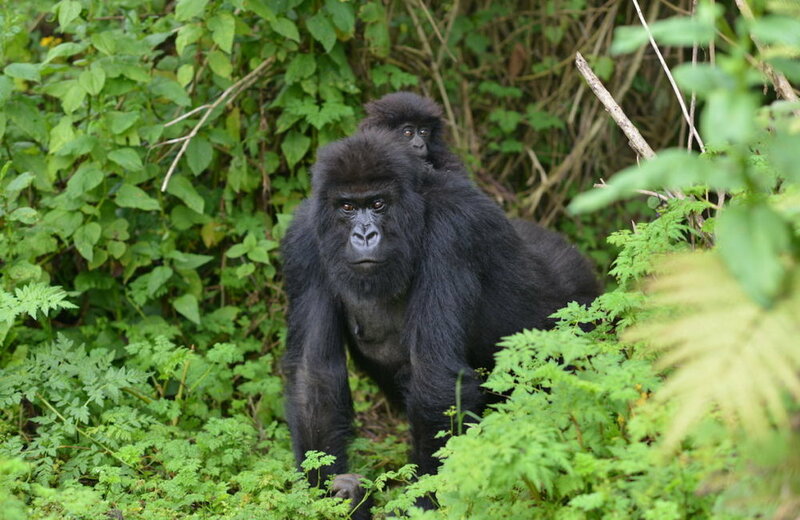 Gorilla Trekking visits in Congo are getting to be prevalent around the world! Congo is open to International guest. Political conflict, loss of habitat and the bushmeat trade almost decimated the last remaining pockets of the magnificent mountain gorilla and less than 1000 survive in the wild today. 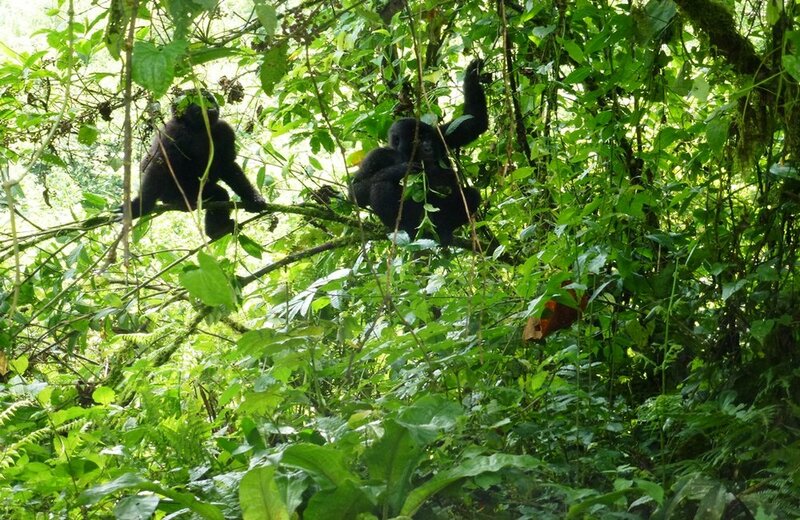 Luckily, Uganda boasts of having over half of the total Mountain gorillas’ populations. However, to successfully encounter these amazing species you need to choose an experienced, knowledgeable and authentic tour company for a better safari experience. Choose from any of our ready-made safari packages or simply customize your here and we’ll take the honor to bring you nearer to these mountain gorillas! 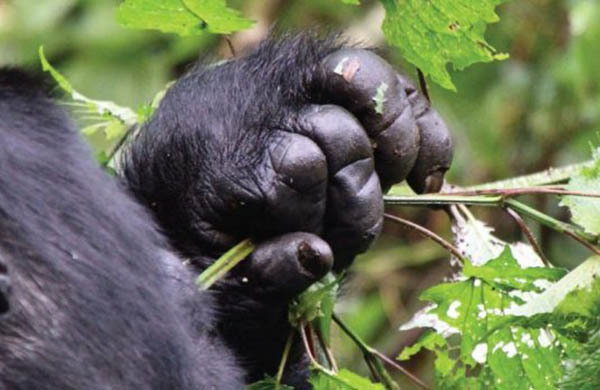 Meet Your Guide and Briefing: There are a certain number of habituated gorilla families in Uganda and in Rwanda. Upon meeting your guide in the morning, you will be assigned a specific gorilla family for your trek. You will also receive an inclusive briefing on safety around gorillas, and how to act in nearness to these intelligently amazing animals. Gorillas are very vulnerable to human germs so there will also be further precautions taken to ensure there are no human flu or diseases passed from yourself to a gorilla during your interaction. 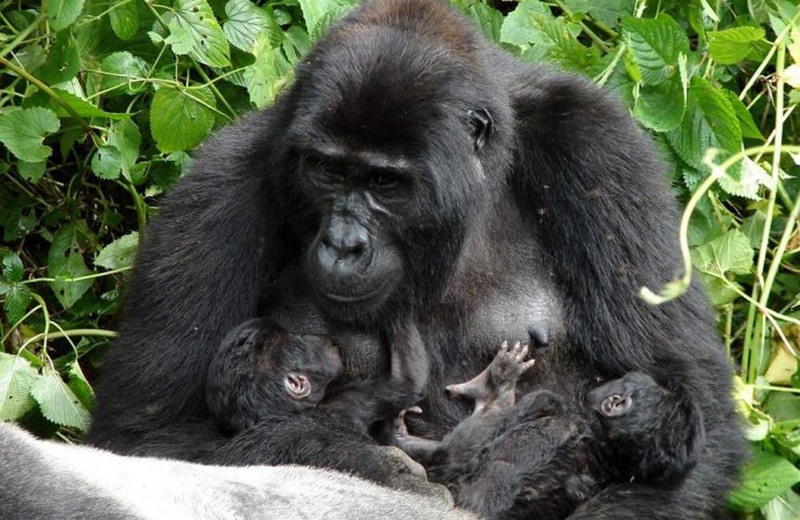 Trek: Gorilla families move continually within their greatly defined sloppy areas. Your trekking will last as long as it takes to get to their present location through the mountain paths and hills. It is gorgeous (occasionally tiring) walking and guides will stop the group regularly to ensure no exhaustion sets in. 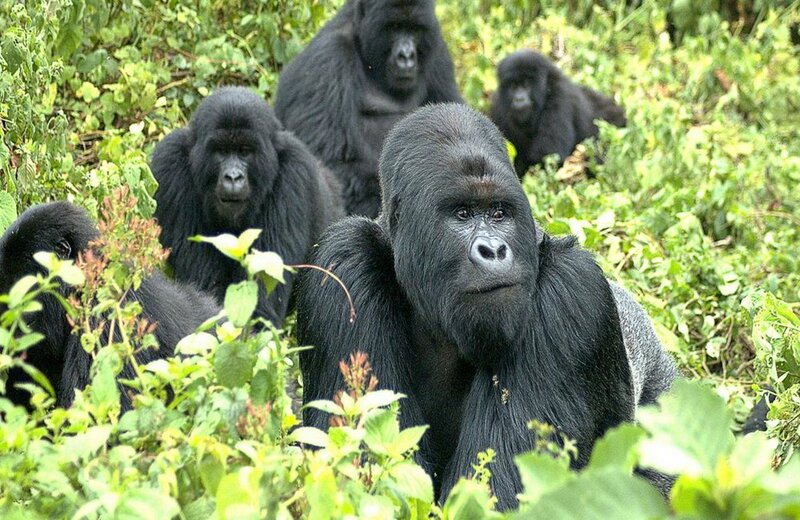 Uganda Gorilla Tours’ guide(s) will also generally assign hikers of different strengths and fitness to different gorilla families (the stronger hikers will be given a family that is most likely further away from the starting point). Gorilla Interaction: The gorilla interaction is a firmly regulated affair lasting exactly one hour. 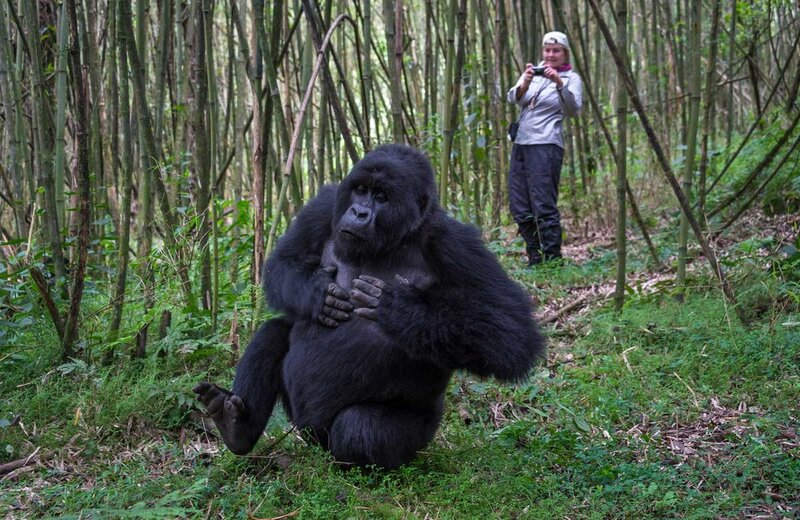 Gorillas are inquisitive by nature and interact freely, but touching the mountain gorillas is prohibited. Your time with the gorillas will be an enchanting experience that will live with you for a lifetime. 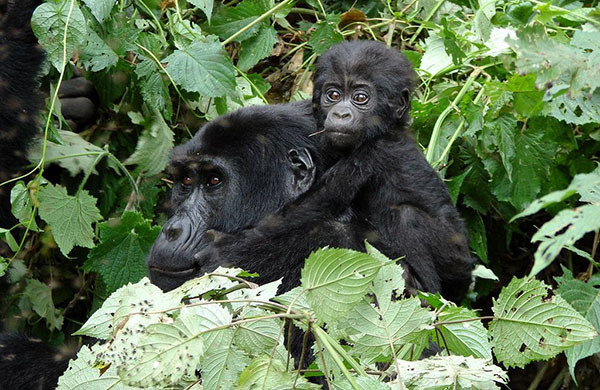 This is an impressive Uganda gorilla safari tour with fascinating encounters, discover the best of Uganda in 14 days. The safari takes you to explore the vast wildlife Uganda has. The safari also takes you to the virgin land of Kidepo for impressive wildlife & Karimojong discovery. 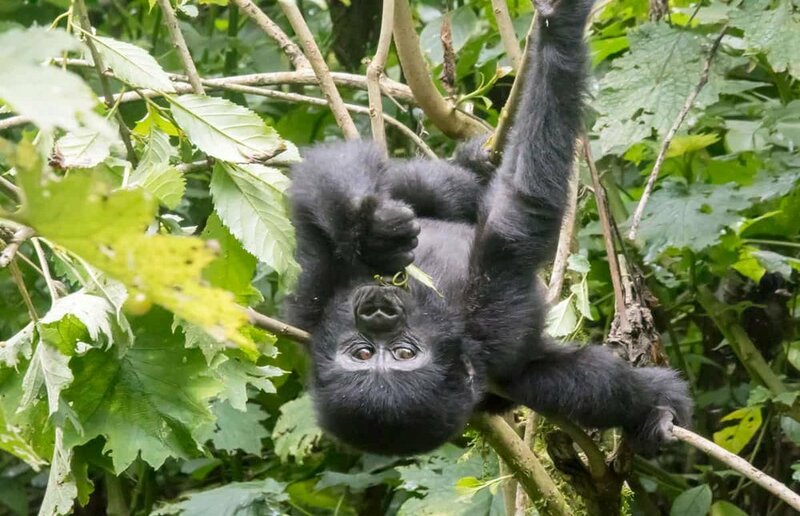 The 5 days Chimpanzees and gorilla safaris in Uganda gives ultimate encounter with 2 most endangered primates in the world, mountain gorillas in Bwindi Impenetrable NP and chimpanzees. All coupled with priceless views of the countryside.